The world had seen three clear revolutions in Industrialization. The first improved efficiency through the use of hydropower, the increasing use of steam power and the development of machine tools. The second brought electricity and mass production (assembly lines), and the third and most recent further accelerated automation using electronics and IT. We are now at the edge of fourth industrial revolution. In the original context published in Industry Platform (http://www.plattform-i40.de/) after the first usage of the term in 2011 at Hanover Fair. The first industrial revolution was about INPUT side of the production. With the help of steam engine a new source of power was introduced. In the second industrial revolution we focused on the OUTPUT. “Production for the mass” was the concern. Third revolution focused on the “EFFICIENCY”. Reducing time to market and customization on modular base designs were the focus areas. Fourth revolution is about collaboratively producing backwards from the user experience. It is no more about WHAT input or output we produce. It is no more about HOW good or efficient we produce. 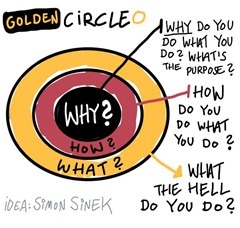 It is about focusing on WHY we produce. 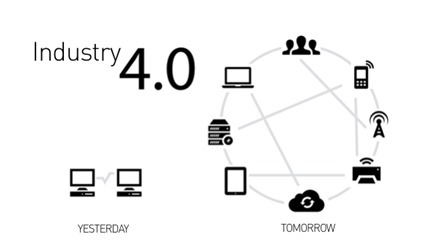 Industry 4.0 requires a “Faster, Smarter and Collaborative” supply chain environment. Let’s walk over those adjectives one by one. Collaborative: Intentionally I tired to avoid “Connected”. Usually in all Industry 4.0 materials we tend to focus on “Internet of Things” (IOT). Production facilities and products/components will be connected and they will be talking to each other to create a total flexible production and distribution environment. For sure – It is required but not sufficient. 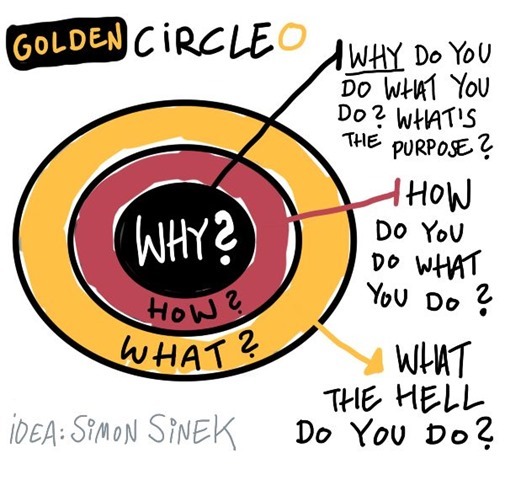 Where is the “WHY” and where is the user experience? Connectivity and collaboration needs to embrace the user experience. 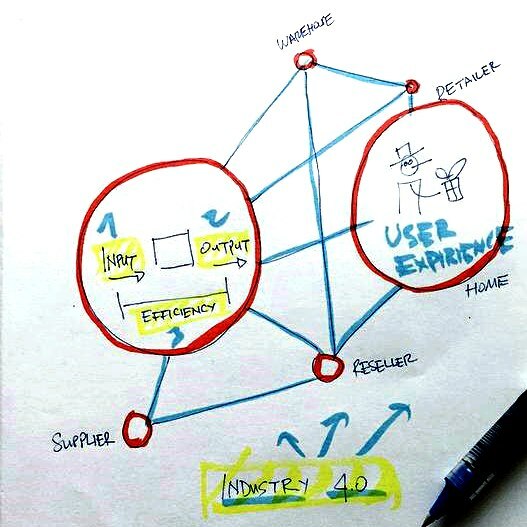 So connectivity is not about components but about user experience triggering the total supply chain. Getting feed back from end user’s use cases and providing instant value added offers to all parties –not just suppler. Good examples can be: A connected tire – Signaling a replacement to suppler or providing suggestions to user how to drive to better optimize tire wear. Or giving means of exchange of driving experiences socially. As you see sit all required the networked system to be more smarter. Today being “Smart” is about Artificial Intelligence. In this context definitely the cutting edge emerging systems are “Self Learning” or “Deep Learning”. The amazing thing about deep learning is that it is trying to model how brain works. We no more model systems. We model systems to model systems in such a way that they would have the ability to learn from observations. Ability to learn is the key element. Good examples are: Hospital systems learning from patient care data. Learning about the success of different clinical paths. Learning from external clinical trials performed on different hospitals and providing suggestions to doctors on the right spot. Or a maintenance system at a telco operator – learning from past performance of network services and customer churn and providing a preventive maintenance scenario optimized to minimize the unhappy customer. “Fusion of Automation and Digitalization” driven by cognitive computing. We said “Faster, Smarter and collaborative”. What about Faster? Without being faster we can do all but not be able to serve right on the spot. With all those “things” being connected, with all those online communities feeding real time data about user experience, with all those sub systems asking for the right input; there is only one way out. This is to be faster but at least with 100x in terms of magnitude. SAP HANA platform was engineered to serve all those requirements in mind. In Cebit 2015 SAP show cased how Integrated manufacturing execution and enterprise systems can empower flexible and intelligent manufacturing. Please connect us to see how we can shape the Industry 4.0 revolution from your perspective.